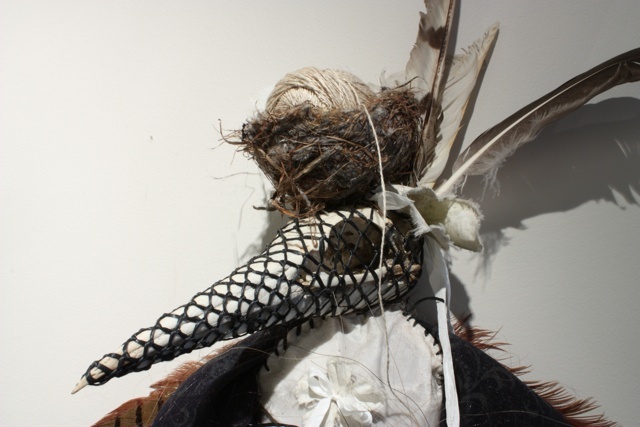 My interest in creating this body of work was to explore areas of meaning where creativity, spirituality/magic and corporeality overlap. 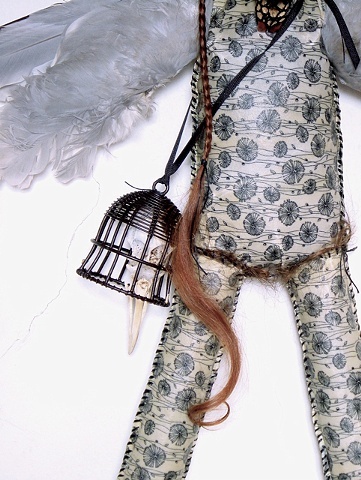 I began an investigation into the athropological categories of magic. 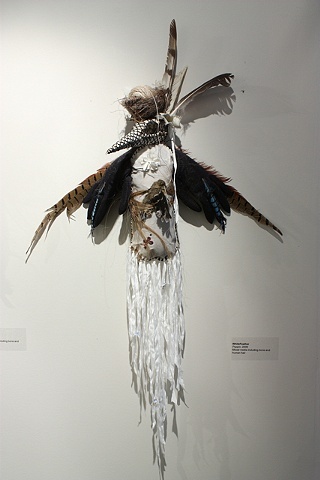 These categories represent the different ways by which various human cultures have attempted to understand and control life/death and body/spirit. 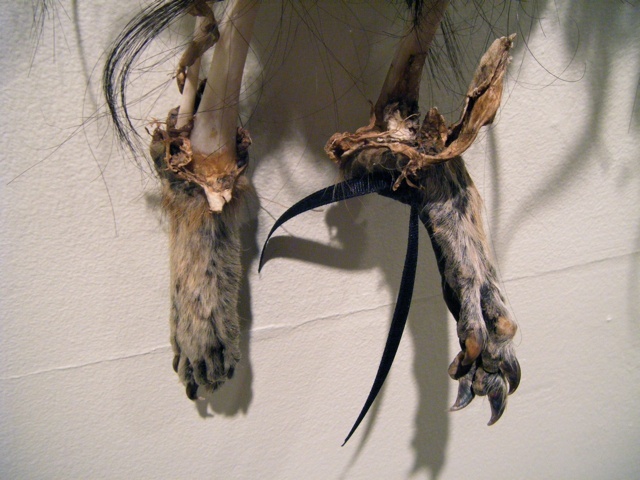 I was particularly fascinated by the persistence of superstition and its symbolism despite an increasingly scientific awareness of the world, and where science/medicine fails to meet human psycho-spiritual needs. 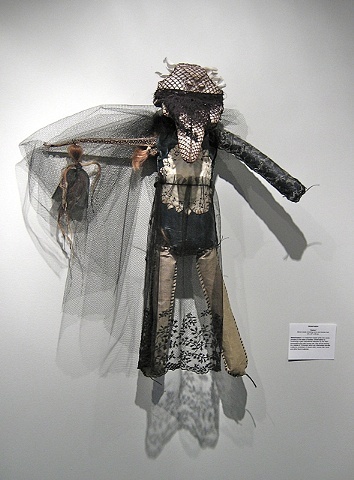 The philosophic dichotomies between mind and body that often predominate religious doctrine generally stand apart from the projected irrational (and rational) fears around physical mortality. 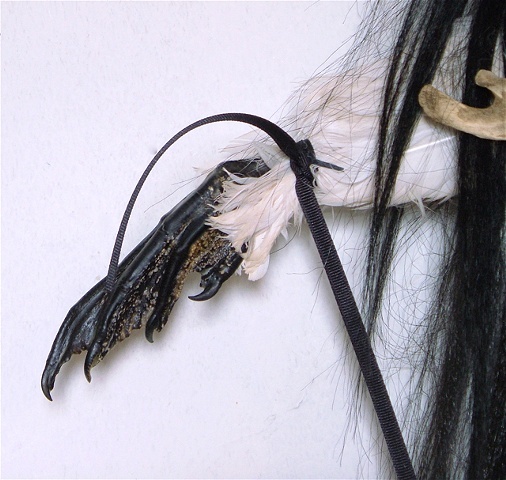 These fears occur universally in the practical lives of people. 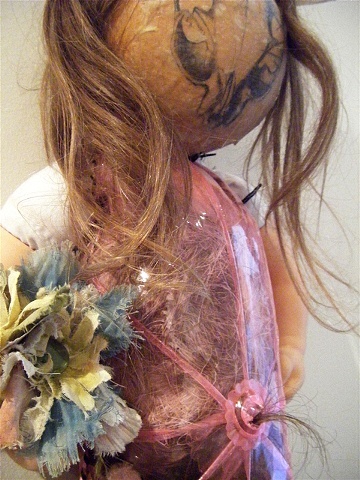 I decided to exploit all of these interrelated notions in this work. 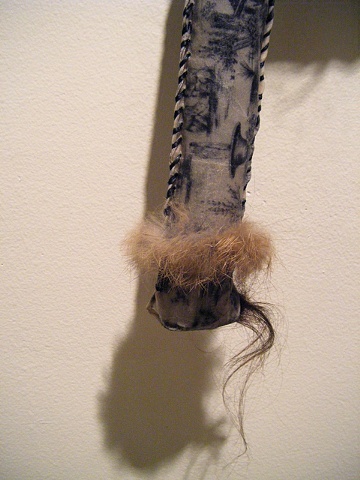 In particular, I wanted to further investigate how disembodied human hair and other discarded body parts violate cultural codes about the health, safety and protection of life and spirit. 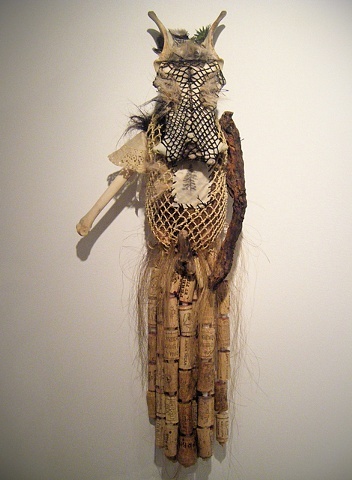 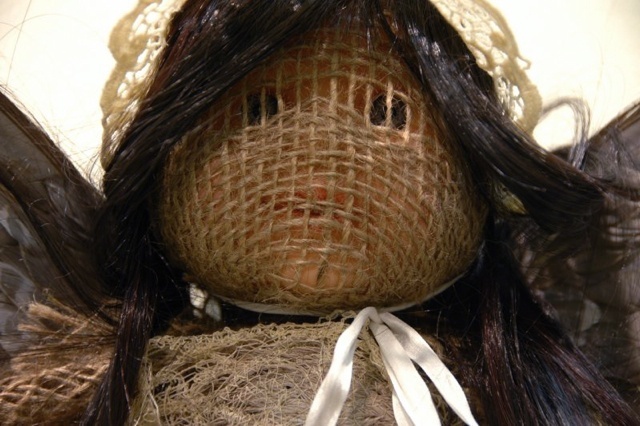 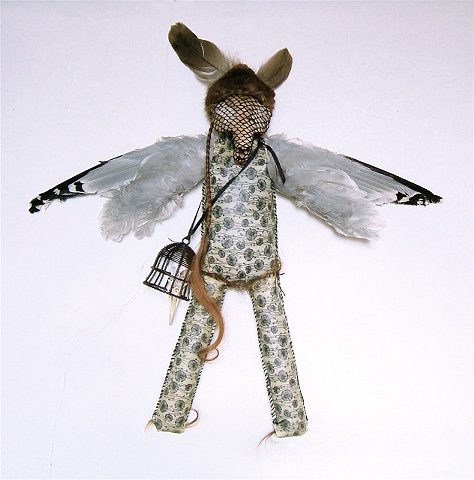 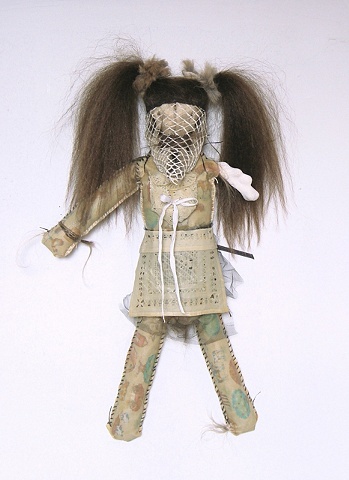 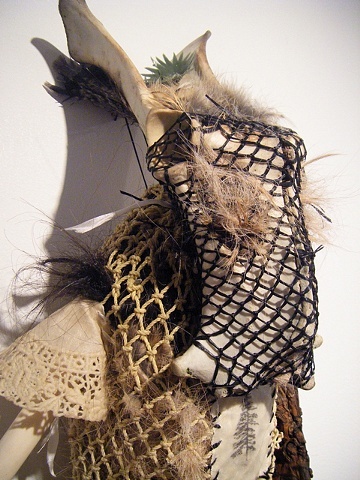 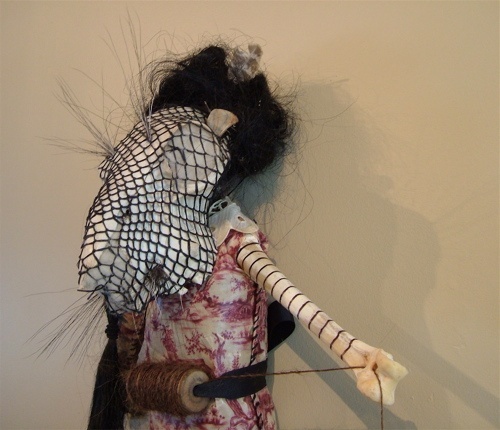 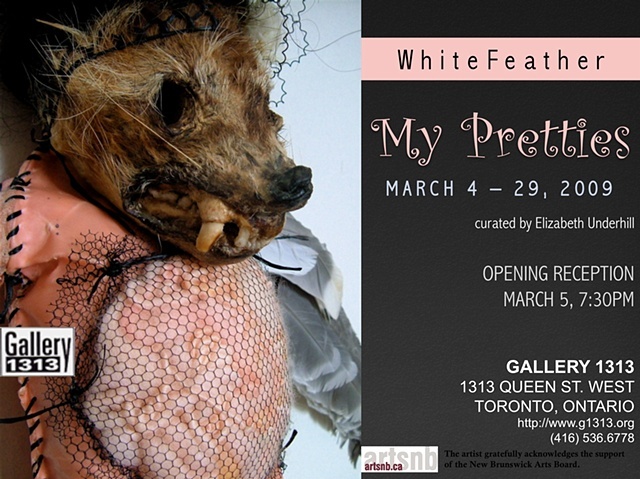 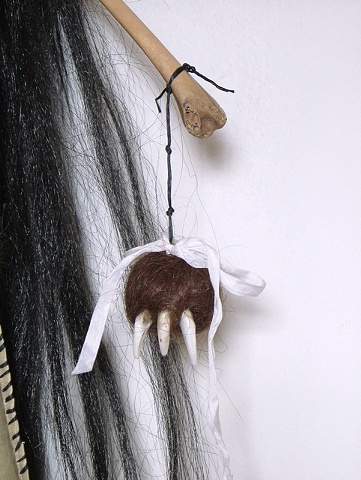 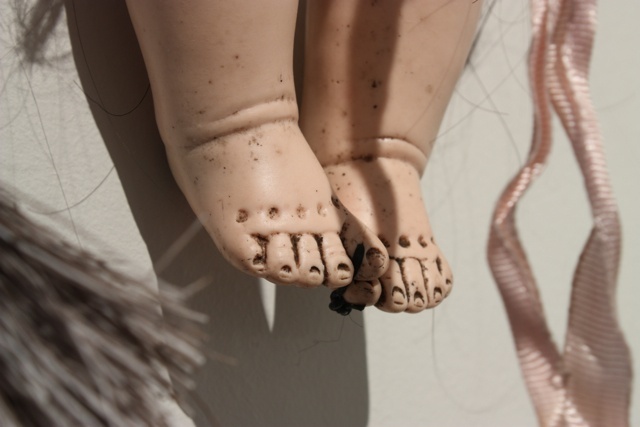 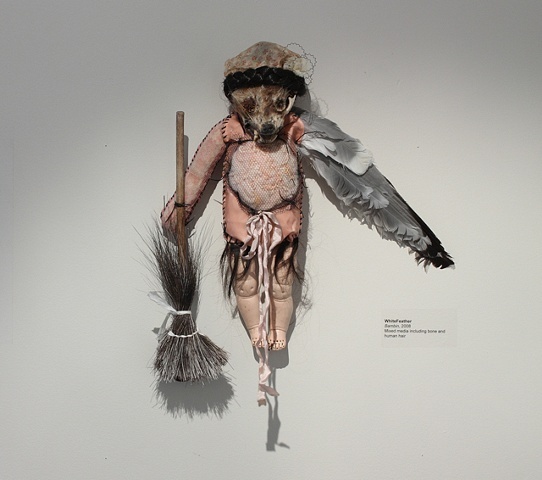 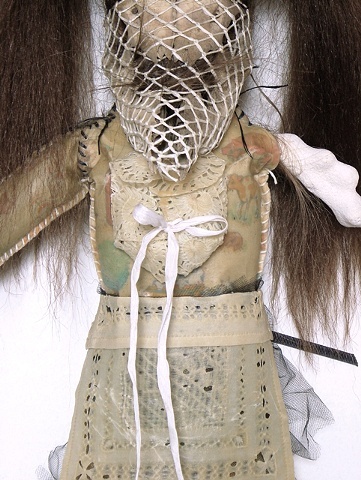 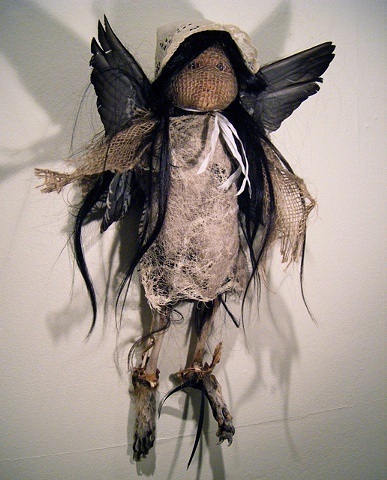 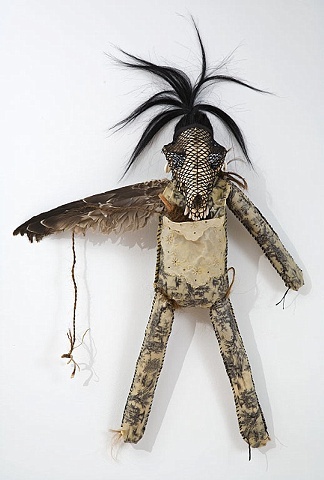 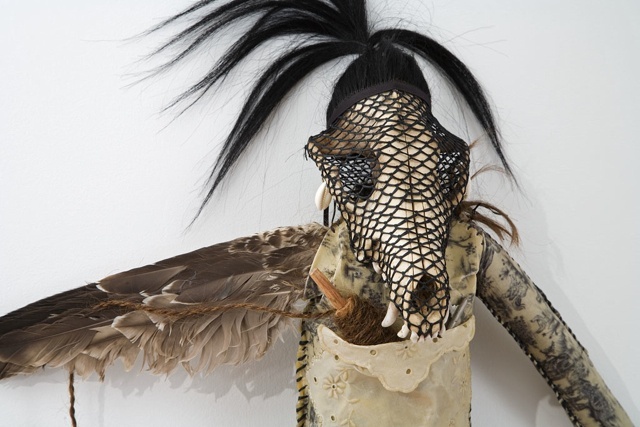 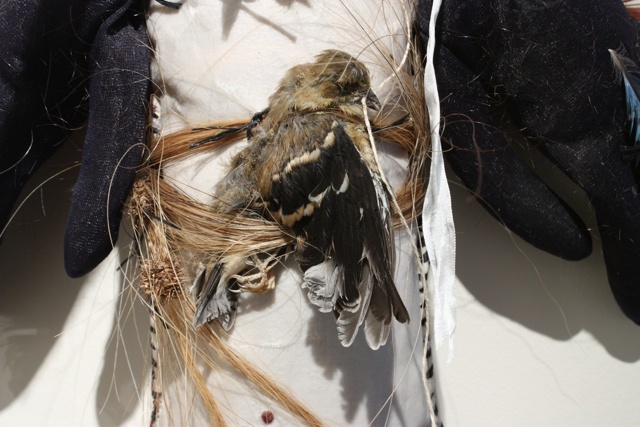 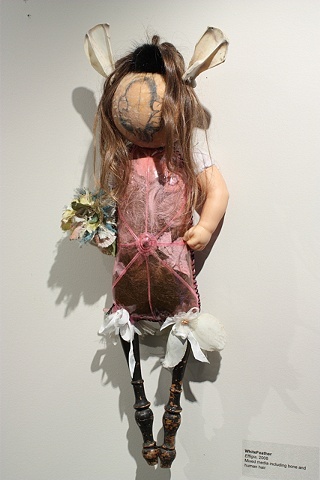 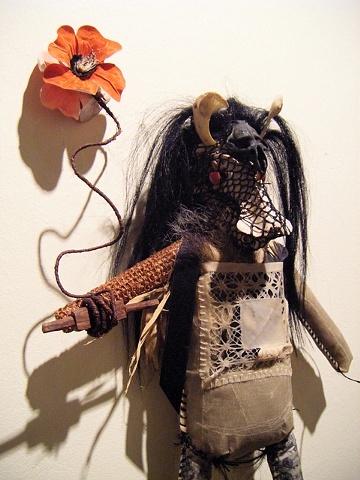 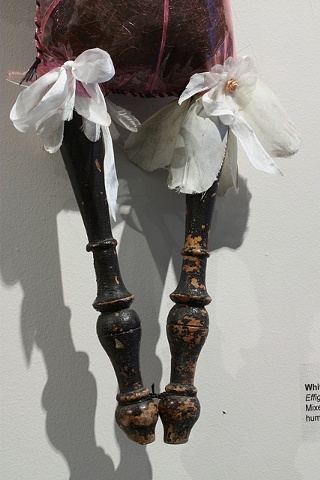 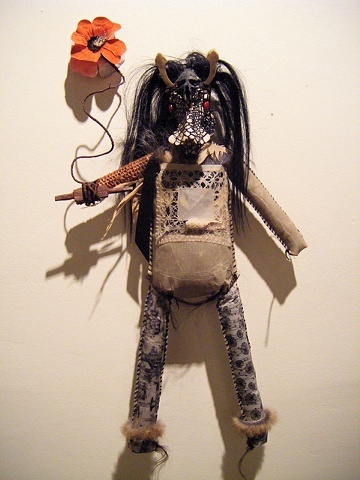 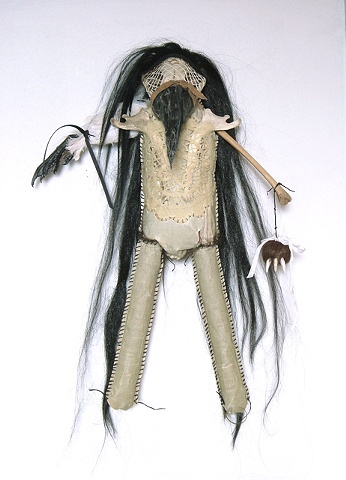 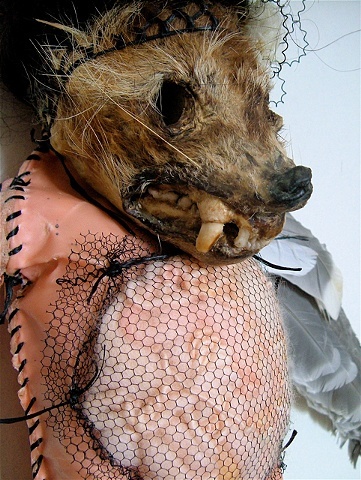 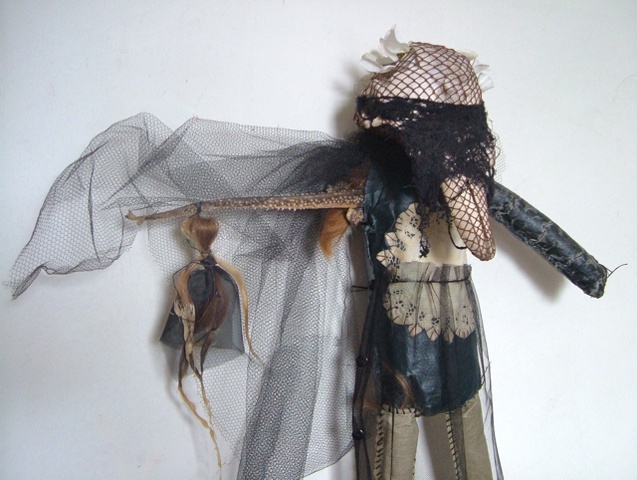 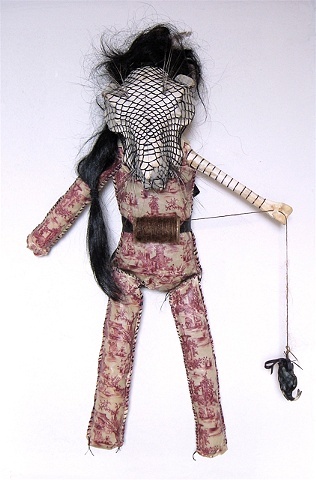 I created twelve infant-sized ‘dolls’, vulnerable human representations that are composed of hair, bone, animal body parts, beeswax, string, cloth/clothing and other found materials. 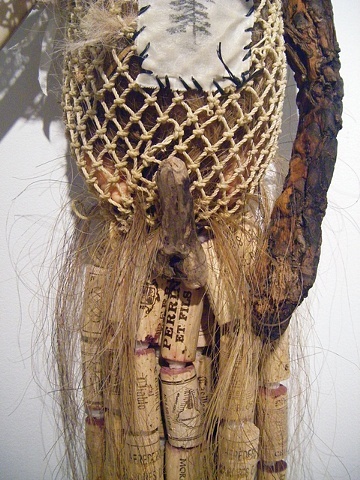 I drew on traditions of folk magic and/or religion, and worked to give questionable new ‘life’ to abandoned or discarded artifacts of humanity and culture.